For me, raptors are the "Holy Grail" of my Illinois nature photography. Hawks are very intelligent, and have incredible eyesight. 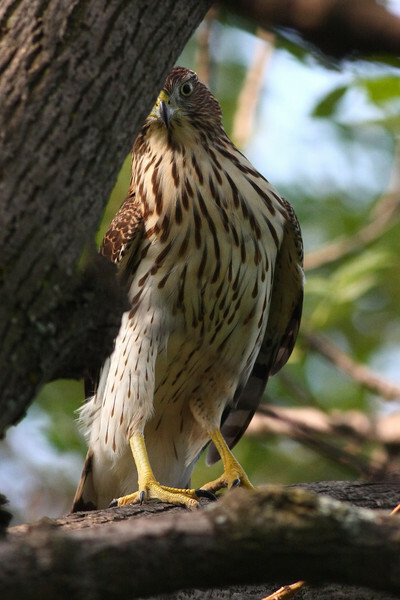 The Red Tail hawk has eyesight that is 8 times better than humans! They seem to see me coming from a distance, and rarely let me get close. The owls in this gallery were all photographed at the same location, and I'd like to thank Sue Fricia of I.B.E.T for helping me find them. They're the first owls I've seen up close, and were very rewarding for me to shoot! The Peregrine Falcons in this gallery are downtown Chicago natives and are seen frequently hunting at Montrose Beach on the lakefront!